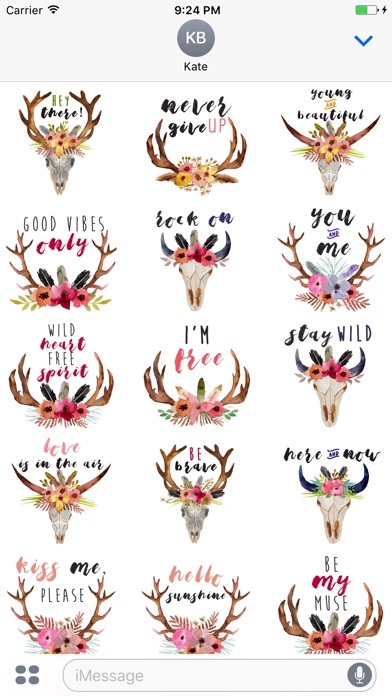 Send inspirational and motivational quotes with hand-painted watercolor artworks in Boho Style, with antlers, skulls, flowers and feathers! 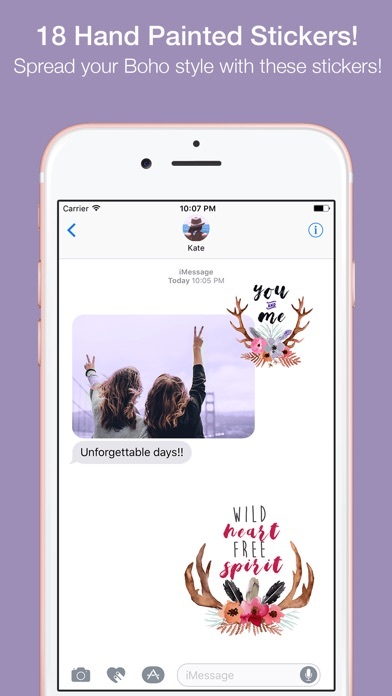 This Stickers Pack includes 18 lovely stickers with quotes and phrases that will make your messages awesome and unique! Each element was converted from high quality hand-painted watercolor artworks by the artist Maraquela! ** Visit maraquela.com or search Maraquela on etsy.com for more illustrations in watercolor for your home decoration! 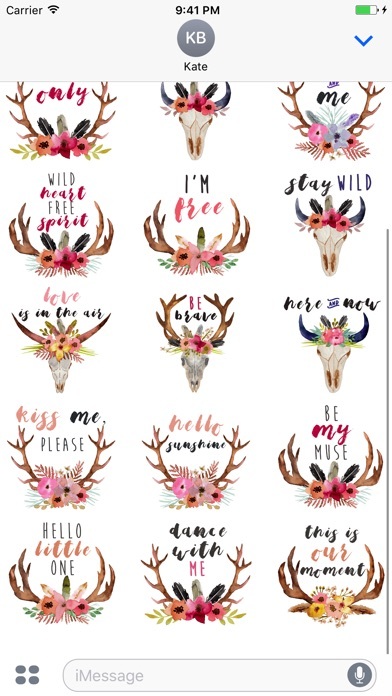 **** Don't forget to check out our other watercolor stickers app in the "Related" section! Please note that not all the stickers are already available after downloading the app, to get full access to all the stickers it will be necessary a purchase of a premium pack.